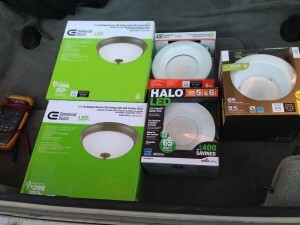 After completing the Ultimate 6 Inch Recessed Lighting LED Shootout, I decided to replace the recessed light in my shower. The Halo was the most expensive of the bunch, but it fared well on brightness, energy usage, and turn-on time. The box the Halo shipped in mentioned it was Shower Ready, rated for wet and damp installation, and generally had the best design for a wet location. In it went, and what a difference, going from a CFL behind a frosted glass lens to the Halo LED made! It’s almost too bright, I won’t complain though, it helps me wake up in the morning. Just heading home to test out a few new fixtures, had to post a picture. While shopping at Target last night for Tootsie Roll Caramel Apple Lollipops, the one thing I went in to get, I walked by the iPhone dock isle. 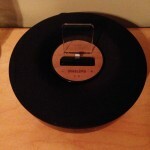 I’m not really interested in iPhone docks, nor have I purchased one before. The only one to perk my interest over the years were the Bowers & Wilkins Zeppelin Air , which was a 30 pin dock and upgraded immediately to Lightning after the release, and the Bowers & Wilkins Zeppelin Z2 with AirPlay . When I auditioned the Zeppelin Air it was overly bass heavy and had a scooped out mid-range, at that price point I decided I didn’t need to own one and life went on. 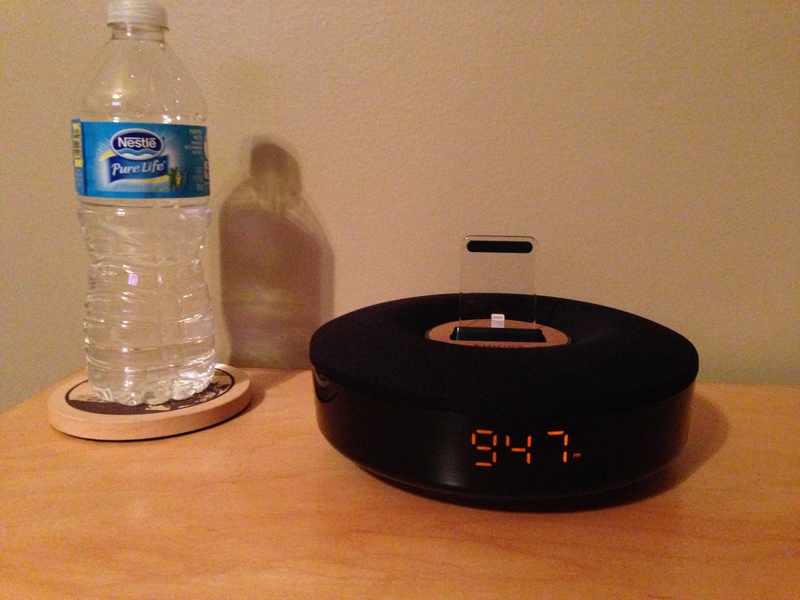 Which brings us back to last night, most of the iPhone docks seemed cheap or poorly designed, the usual 90’s alarm clock with a dock connector molded on top. 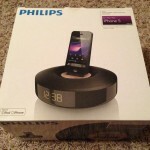 However one stood out, the Philips DS1155 Dock with Lightning. A black ring resembling a small overturned bundt cake pan, the center contained the dock with a clear stand to support the phone and underneath that a wooden control panel with what looked like touch controls. The box said it would auto sync the clock from the iPhone and it was also an LED nightlight, this one had to end up on my nightstand. The packaging: It’s exactly what you’d expect from Philips, a cardboard box with the dock wrapped in foam and slid into some wings to center it in the box. The hardware: Once unwrapped the fit/finish is very nice, the speaker grill is flush to the body, and the clock is invisible when its off. The only ports are the Lightning dock connector, a USB port, on the back and the small power adapter input from the wall wart (which only covers one outlet due to its horizontal orientation). The wood control panel looks great but is not touch sensitive as it looks, it has 4 physical buttons with a solid click when pressed. 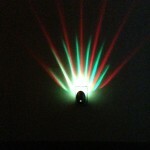 Clock (3 levels of dimming), light (off/low/high), volume up, and volume down. I plugged it in and placed my phone in the dock, it fit perfectly even with my case (a Tech21 D3O Impact ). The clock took 3 seconds to sync and 1 more for me to hit play on the home screen. The sound: If i had to guess the dock would have a few 1″ laptop speakers under the grill. That’s exactly what it sounds like. It sounds like the highs are rolled off over ~6kHz and lows are rolled off under 150Hz. Whats left plays loud and without distortion up to volume level 20 (whatever that translates to). It was loud enough to hear in multiple rooms on the same floor of my house. I’d actually like to see what the frequency response looks like from this dock to confirm my suspicions. The lighting: Honestly this is perfect, the amber LED clock has 3 dimming levels, almost off, a bit brighter, and perfect. 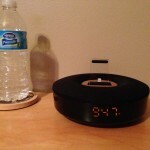 The nightlight can be off, warm glow from under the clock, and I can make out the other items on my nightstand. It is completely unobtrusive and the amber LEDs in the clear ring under the dock make it appear to float at night. Overall: I think this is a great dock for $70. I wouldn’t hesitate to buy another for any other bedroom. The design is great and it feels like a quality product. The sound matches the price even though it could be better if they put as much into that as the aesthetics. 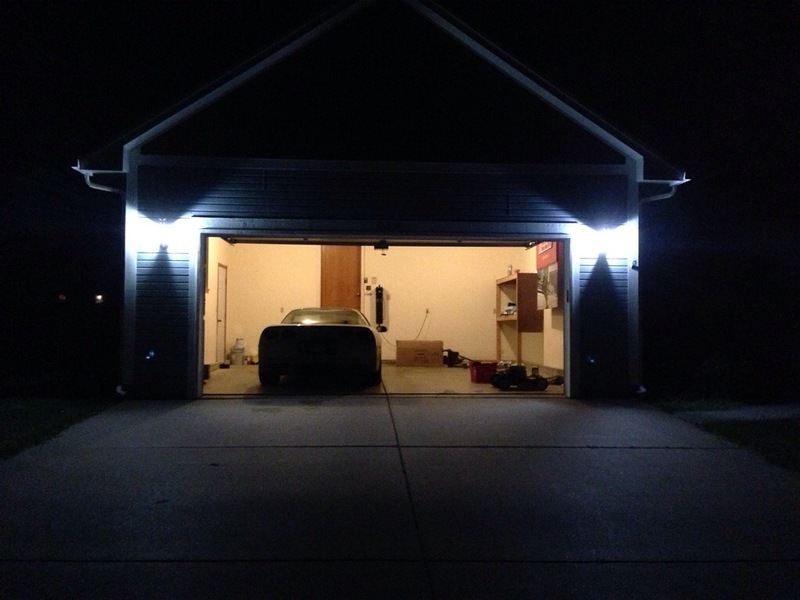 One of the very first lighting changes I made to my house was to replace the 13 Watt GE Helical CFLs on the front of my garage with the new Cree 9 Watt Daylight LED Light Bulbs. 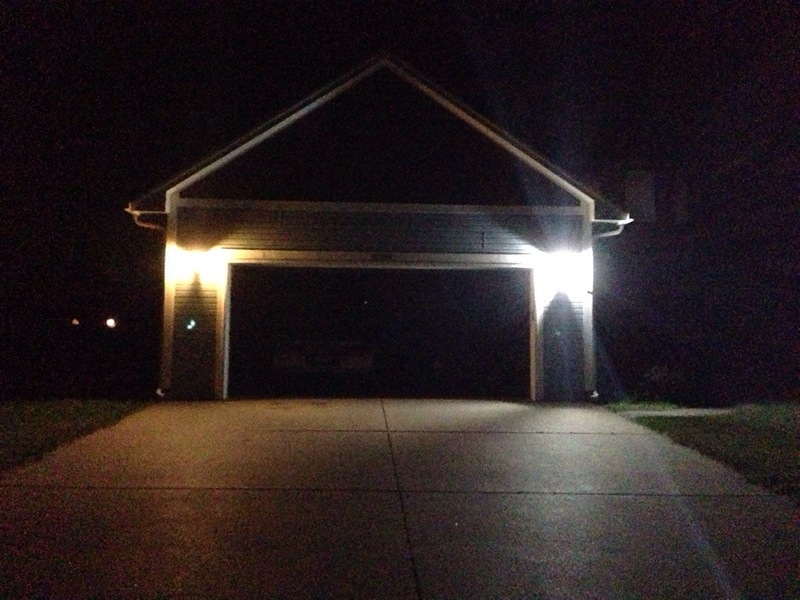 When I moved into the house I left these lights on 24/7, and there was concern about the power draw from leaving the lights on all time, causing me to look into LED replacements. I quickly searched the web for “best LED light bulb” and stumbled upon the Cree’s. I found one review that said they were the best, and I already knew they were selling for the lowest price at roughly $10 per bulb. The name Cree is synonymous with high quality LED lighting, they build the diodes found in most high-end flashlights, and light engines for most professional stage lighting. Now with their foray into consumer lighting they’ve proven themselves again. These bulbs turn on instantly, are dimmable, a have very high CRI (90 or greater) ratings powered by the Cree TrueWhite® technology. Long story short, I stopped by Home Depot, who happens to be the exclusive retailer of Cree bulbs, and picked some up. I installed them and the change blew me away. I use to be able to make out the driveway at night, now the driveway is fully illuminated and part of the street is too. No holds barred, I think these are the best screw in LED bulb money can buy right now. If you’re looking for a screw in replacement you can stop, just buy these. I’d love to write a review on this nightlight but I’ll illustrate why I can’t below. It works as designed. e.g. Turns on when its dark, uses LEDs to save energy, and projects cool, ever changing patterns on the wall. It’s a great conversation piece. They no longer make it. 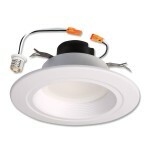 So you’ve decided to make the jump, you went out and picked up a brand new LED fixture and you’re ready to install it. What now? 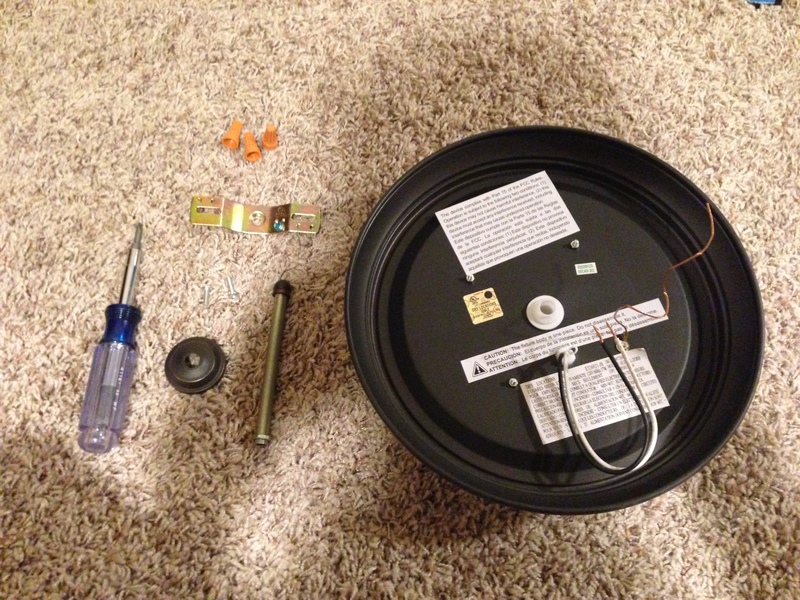 Well it probably came with instructions that you already placed in the trash, so I’ll try cover the main points. Disclaimer: This guide is not meant to be a substitute for common sense or the manual that came with the fixture, use those first. I am not a licensed electrician. 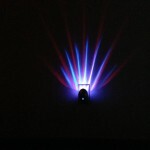 Please know that My LED House may earn an affiliate commission when readers click-through on our editorial chosen products.